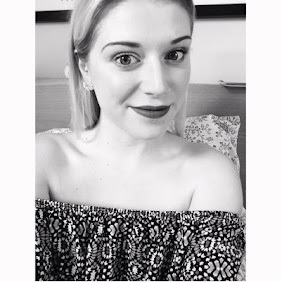 I'm so happy to be doing another Disney post today! I haven't done one in so long and I have just done a big shop on the Disney Store and some added extras here and there. 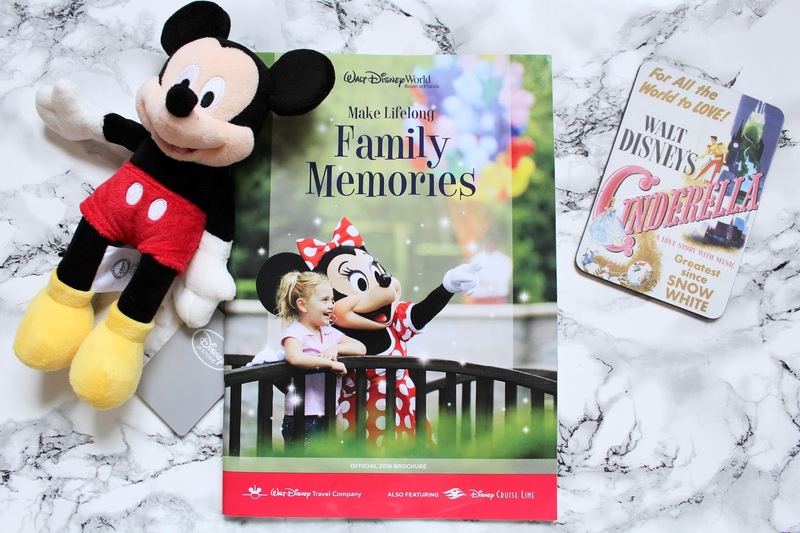 I absolutely LOVE reading anything to do with Disney and hopefully you do to (well otherwise this is not the post for you haha). It is quite a long one, so grab a cup of tea and keep reading! Firstly I will show you everything I picked up from the Disney Store. So where to start, okay so I'll start with the toys. I got myself my first ever Mickey plush and I know what you're thinking, KATY HOW HAVE YOU NEVER BOUGHT A MICKEY BEFORE but I just never have so I just got the mini one for £7.95 but I didn't get Minnie because I don't like her in her pink dress and that was the only small Minnie they had but hopefully I can get one when I go to DLP later this month! 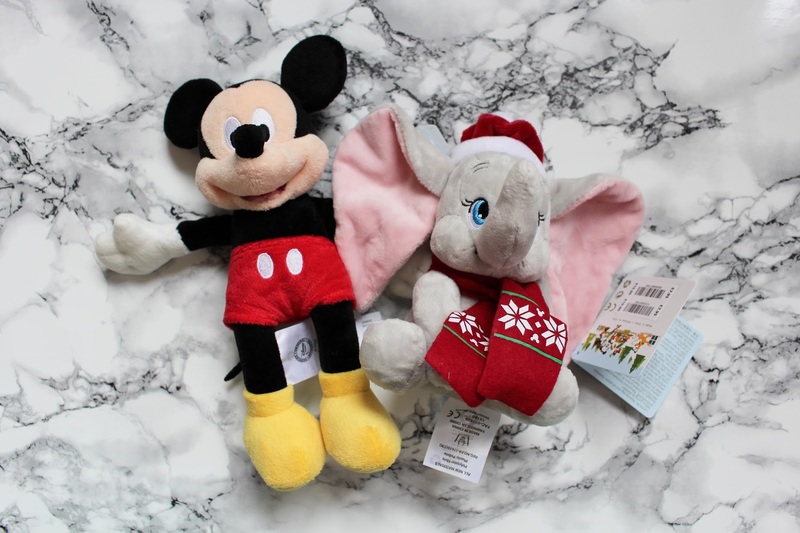 I also got the Christmas Dumbo and he is just so adorable (that scarf and hat, heart eyes emoji) and super super soft and he was also £7.95. Since DVD's are buy one get one free I decided to pick up 2 from the Disney Store, I got The Princess and the Frog for £12.99 and Cinderella for free. 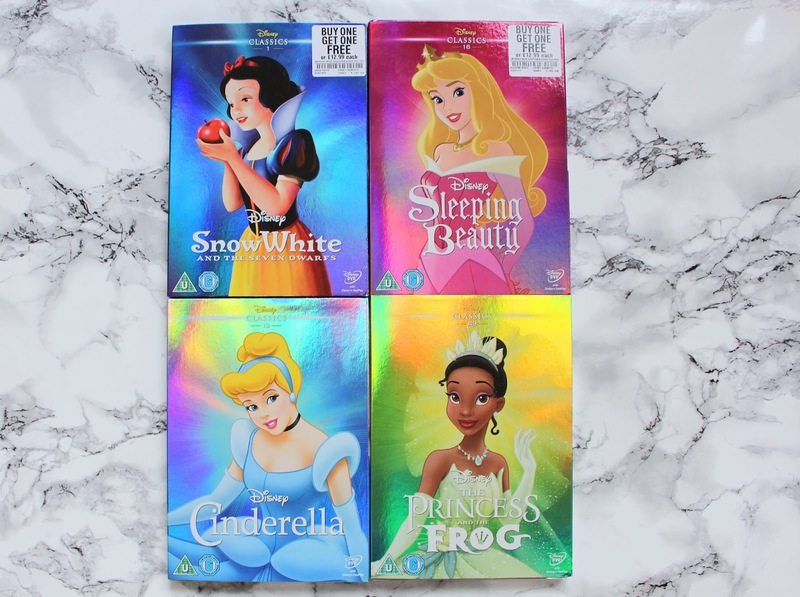 Now I'm not going crazy I know that there are 4 DVD's in the picture this is because HMV are also doing the BOGOF offer so I also got myself Sleeping Beauty and Snow White and the Seven Dwarfs. I was contemplating getting Beauty and the Beast as that is my all time favourite Disney film but I already have a copy of it and underneath the shiny covers they have the normal DVD cover so I'd only be paying for the shiny cover. I also want to get Pocahontas, Mulan, Frozen (I need a new copy as mine is scratched, sad face) and obviously Tangled. Next up is my new tumbler. 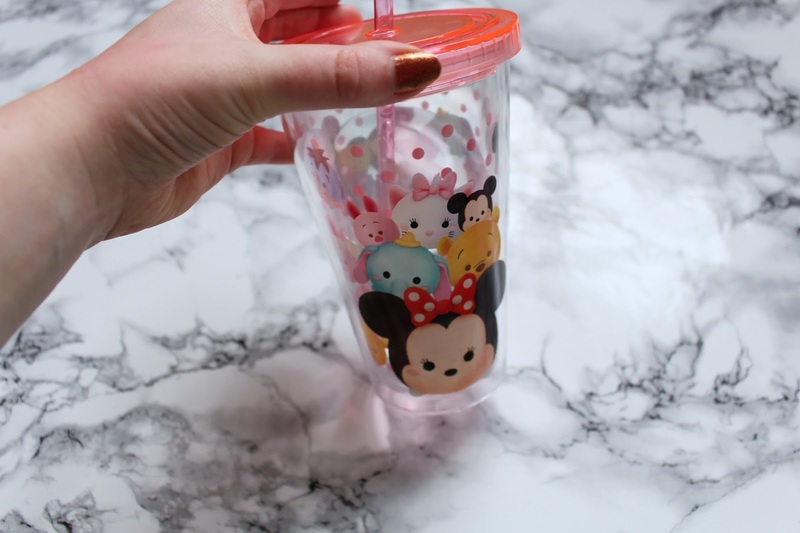 Now no Disney haul of mine would be complete without Tsum Tsum's, so I got myself this adorable tumbler with a straw for £7.95 with a Tsum Tsum design on. I think this is SO cute and it has all my favourites on as well (Mickey, Minnie, Marie, Dumbo and Winnie). I have used this so much as it is a really good size and it is really handy. When I went to DLP for my birthday I got myself one of the Princess shoe ornaments which you can read about here. But I felt like it looked very lonely up on my mantlepiece, so I decided to splash out and get myself another one. Now they are quite pricey at £15 each but I think they are so worth it, the detail and finish on them is fantastic. 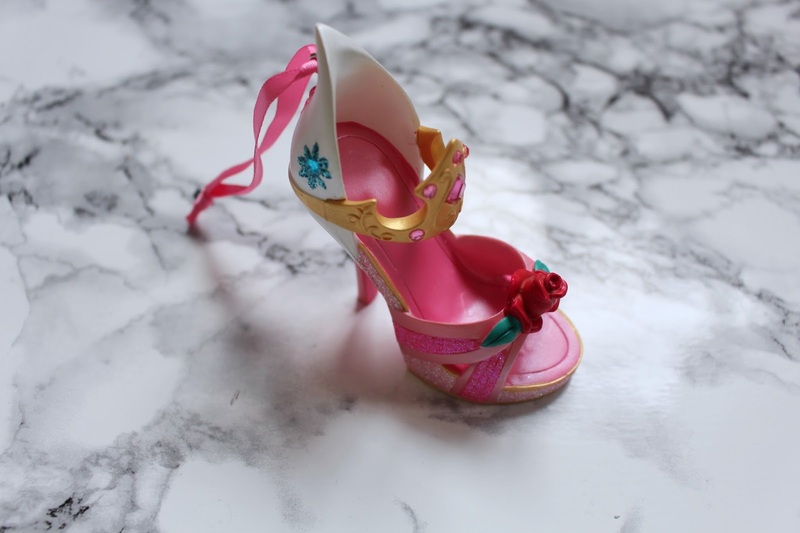 I got myself the Aurora shoe as she is my second favourite Princess, but I couldn't find her shoe in the parks or the Disney Village and I rarely see it online. It is so beautiful and even has 3 stars/flowers (I can't quite tell) on the back in blue, green and pink to represent the fairies which is a great touch. I am a little sad they didn't put any blue on it to represent her blue dress (her true dress) but that's okay, I love it anyway! 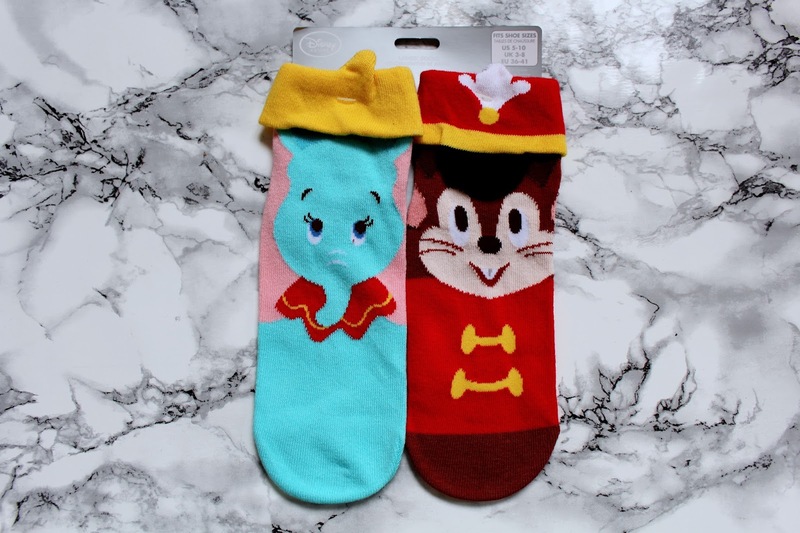 If you know me at all you'll know by now that I love Dumbo, so when I saw these Dumbo and Timothy Mouse socks I just couldn't resist. They are really good quality and the detail is great, I mean look at their little hats!! They were also very inexpensive at just £2.95. They do loads of character combinations as well so I might have to get some more! 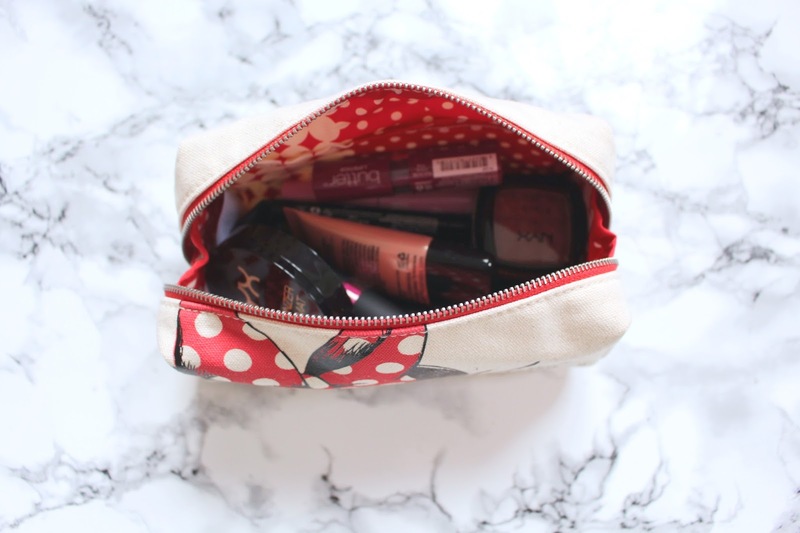 The last item I got from the Disney Store was a new Minnie make up bag. I got this because I realised I only have a massive Cath Kidston make up bag which is super rubbish for travelling. This is the perfect size and is made of a lovely canvas material so it will last me a long time. 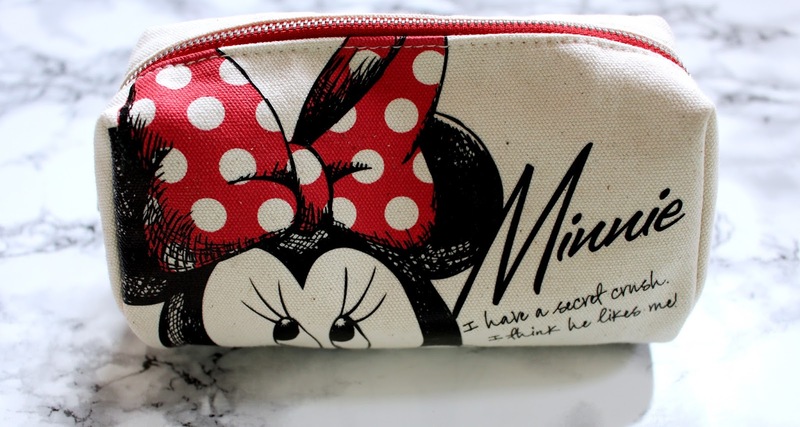 It just has a close up of Minnie on it and her name and on the back it has a little illustration of her. On the inside it is all red, white and spotty just like her iconic bow. 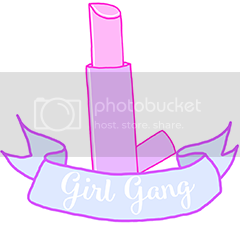 Right now I have all my NYX make up in there that I won in a giveaway from Brogan Tate (seriously check out her YouTube she's amazing!). This cost me £7.95 and they do a range of characters, I loved the Alice in Wonderland one as well. 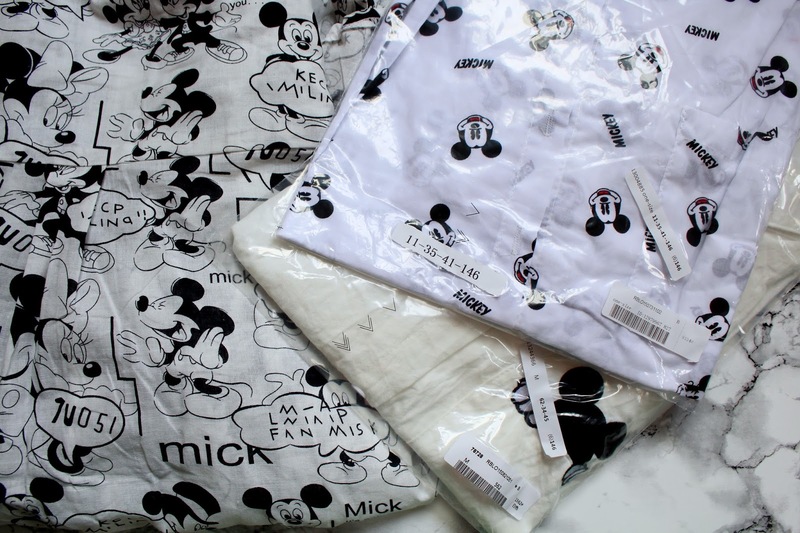 So moving on from the Disney Store, if you saw my FOTD & OOTD post you'll know that I ordered some Mickey Mouse clothes from Romwe. 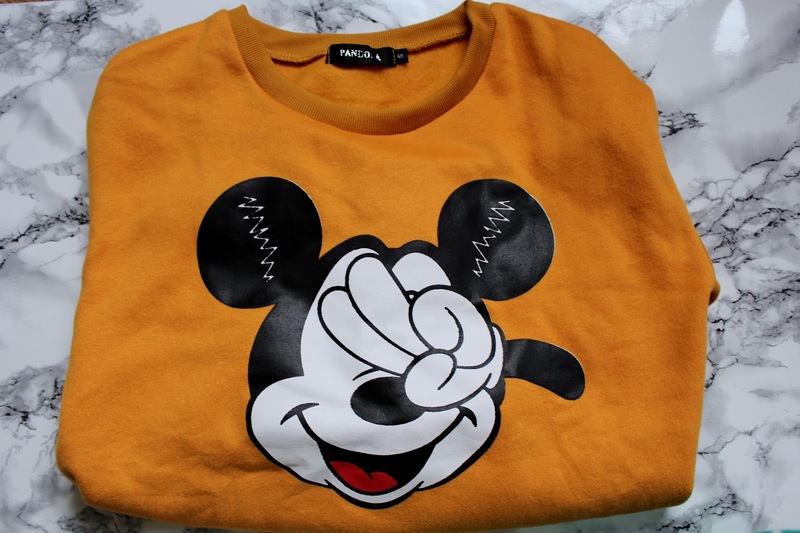 I got myself the jumper shown in the post and 3 shirts all with Mickey's on them. I can't quite remember the prices of these but they were all fairly cheap. I just went onto the Romwe website and typed in Mickey Mouse into the search bar. 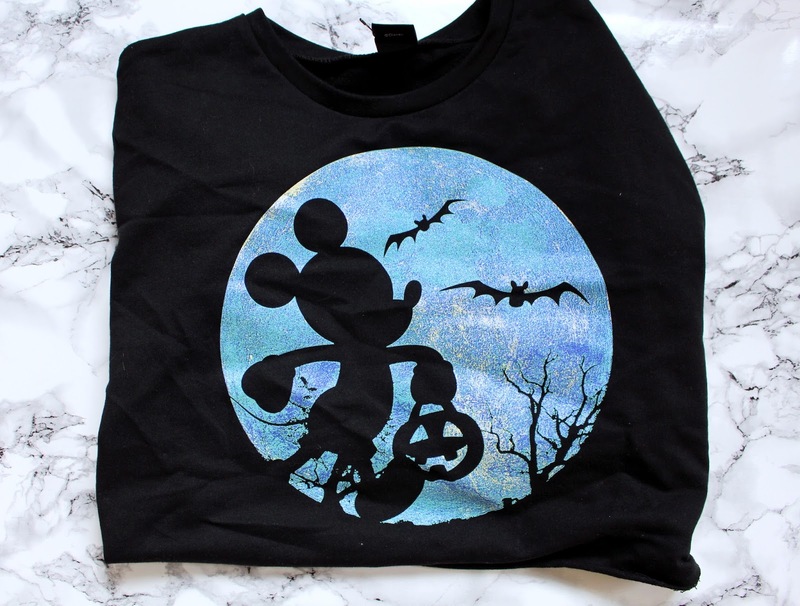 From Asos I got myself this amazing Mickey Mouse cropped jumper where he is trick or treating, I think this jumper is amazing and it actually keeps you warm haha. This was £28 (it's now £19.50 as Halloween is over!!!) so it was really expensive for what it is but I just loved it too much to let it go! My last item comes from Truffle Shuffle. If you read my Disney Wishlist #1 this item was on that. It is the 4 film poster coasters. These are amazingly good quality and they feel really soft which I didn't expect. I am definitely not going to use them as coasters but as decorations. I'm honestly not trying to show off or anything, I know I spent quite a bit of money but I love Disney so I don't mind and I wanted everything so it's not a waste to me. 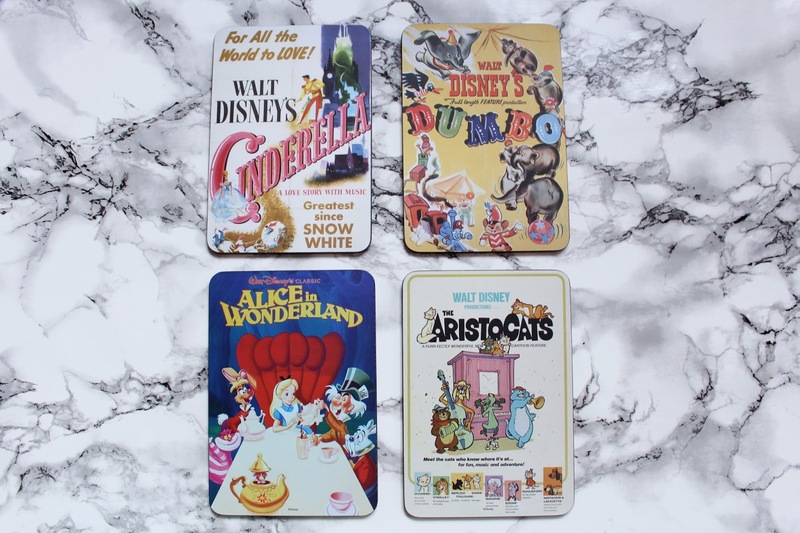 I love reading/watching Disney hauls, I love seeing what other people have bought and it gives me inspiration for my next buys. As we all know tomorrow is Tsum Tsum Tuesday on the Disney Store, so when I get them I am thinking of doing a full updated version of my Tsum collection as it has grown A LOT!!! Comment if that is something you'd like to see.